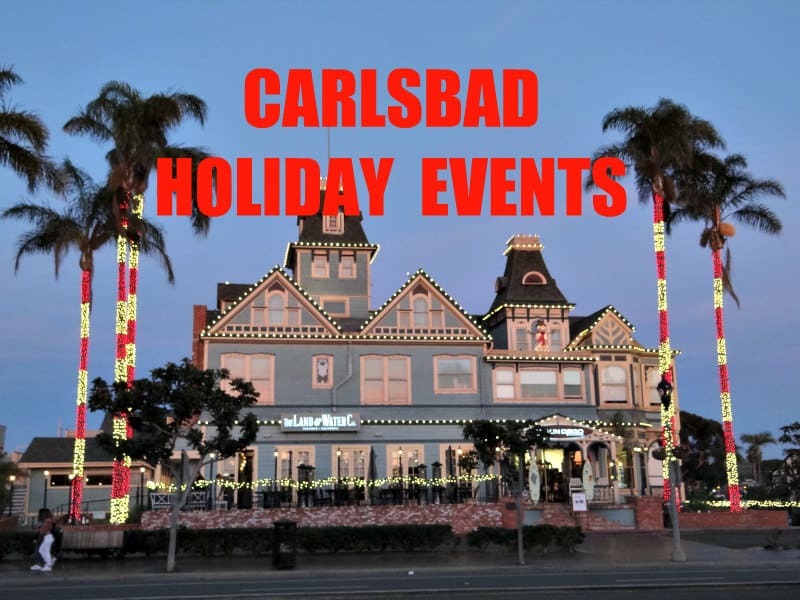 There are lots of fun holiday events happening in Carlsbad, and nearby, now that the season is upon us. 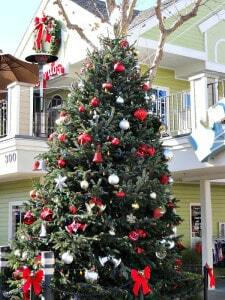 And of course that means the traditional Holiday Tree Lighting in Carlsbad Village, the 33rd annual, at the Carlsbad Village Faire at the corner of Carlsbad Village Drive and the Coast Highway/Carlsbad Boulevard. This event is sponsored by the Carlsbad Rotary Club. Of course the lighting of the holiday tree is the big event, but things will start happening at 2 pm with caroling by the St. Patrick Parish School Choir, with Santa arriving around 2:40 in an antique fire engine followed by visits and FREE photos with children (using your own cameras and phones, of course), and a musical holiday program from 3:14 until 4:30. The Mayor will officially light the 25-foot tall fir tree around 4:30 (keep in mind it’s not real dark at that time so the lights may not be as bright as one might hope). Free coffee, cookies and cider will be available, and the Carlsbad Library’s Learning Center will offer story-telling and crafts for the kids. And given the location, there is plenty of shopping at The Village Faire and nearby, as well as plentiful places to dine to suit a range of tastes and budgets. The Carlsbad Village Faire is located at 300 Carlsbad Village Drive, just west of the railroad tracks. You can expect a pretty good crowd so parking may be challenging…I’d arrive early.